Handmade Detroit | How to: A home for your necklaces. 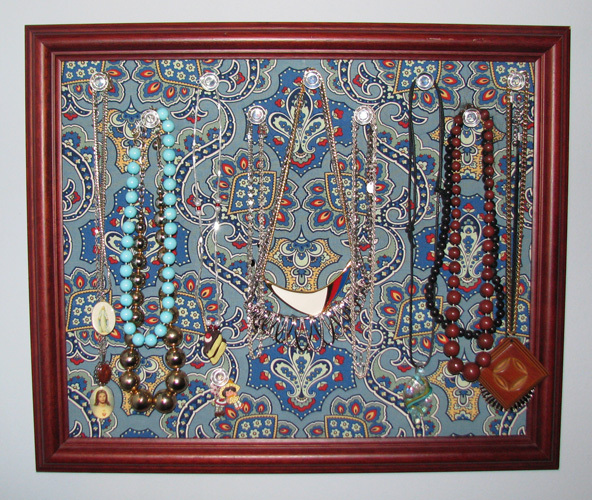 How to: A home for your necklaces. Handmade Detroiter Bethany posted this nifty tutorial on constructing functional necklace art recently. I’m hoping she wasn’t in cahoots with Lish to post this more fully here. But I really like this because it seems like you might also be able to stick earrings or pins into it too. Pingback: Handmade Detroit » One Yard Wonders-ful!